Just think, a mere 15 years ago if you wanted to reach the summit of a mountain you had to walk up, shell out thousands of dollars for a helicopter, or ride a lift in which you didn’t have control over! Today our modern snowmobiles are capable of climbing the gnarly’ist shoots; some can even do it without the skis touching the ground. 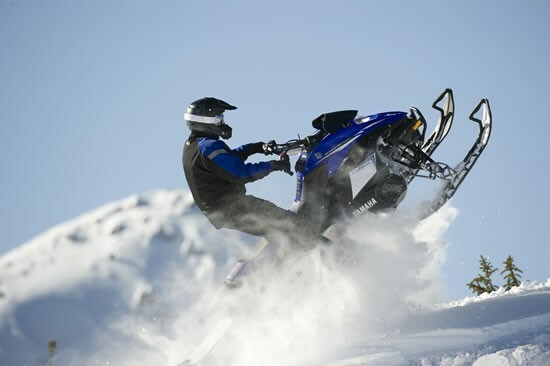 Today, mountain snowmobiling breeds innovation and demands the newest most light weight technologies and engineering concepts. Why? Because being stuck is not nearly as much fun as blasting powder, launching cornices and side hilling tree infested slopes. 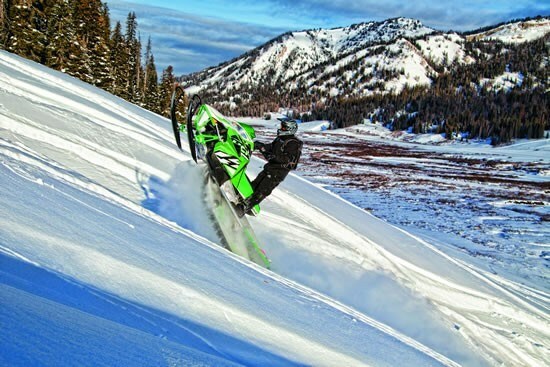 Arctic Cat has always been at the forefront of mountain snowmobiling, after all the infamous Chris Braudt Burandt’s started his career riding a cat. If you have been following snowmobiling as long as I have you will know of the Jackson Hole World Championship Hill Climbs. The Arctic Cat ProClimb M is a deep lugged, light weight mountain climbing machine that is chiseled a little differently. These up to 162” track lengths and turbo charged 160+ horsepower gasoline powered new aged ‘snowshoes’ demand an ‘I can go anywhere’ attitude! Are you ready? 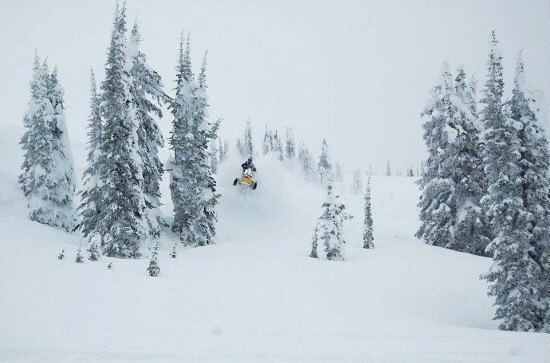 Polaris's RMK (Rocky Mountain King) model line-up has been carving powder since the mid 1990’s, today RMK’s are known for their enhanced ability to allow the pilot to sidehill the steepest slopes with ease and flop from one running board to the other to navigate between tight trees. Quite honestly, the RMK is almost a mountain goat, except of course for the up to 160 horsepower engine stuffed into light weight, but incredibly strong and rigid engineered chassis, which are ready and willing to assault some snow. 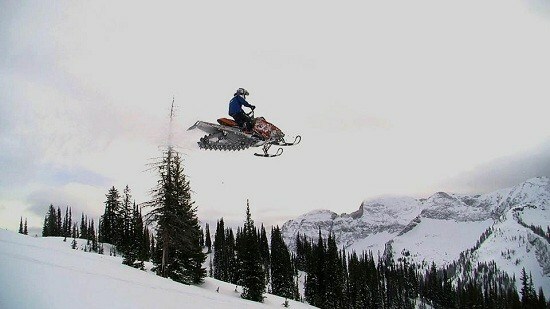 Speaking of assault, the RMK’s little brother is just as capable, but has been bred to fly. The RMK Assault can not only go up, but this weapon can also take flight. If the look in your eye’s shows confidence and fury as you approach the top of that cornice, cliff or jump this is the sled for you! 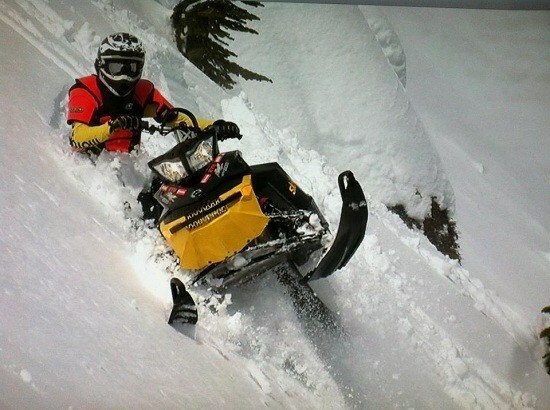 Ski-doo is known in the industry as a technology leader and lives up to its reputation in its team of mountain models. When you’re out in the deep and steep that name of the game is power to weight ratio. 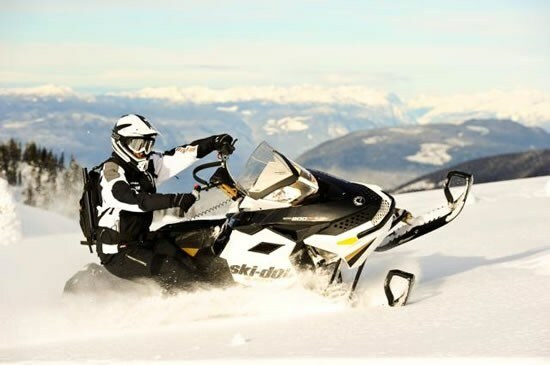 The Summit and Freeride snowmobiles are built on the industry changing REV-X platform which was released in 2008, theses light weight chassis makes you a better rider. New for 2013, is the T-Motion rear suspension, which will surely change the way snowmobiles handle on the steep tree filled slopes. The T-Motion pivots left and right allowing the rider to sidehill or powder carve with reduced effort. Less effort equals longer rides and new lines without getting stuck! 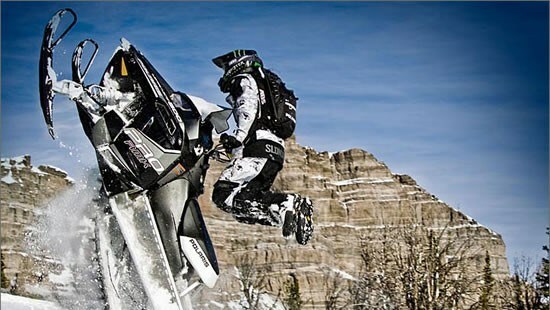 For those wanting to whip off a foothill, pull a heel clicker while flying through the air downhill, or navigate the ultimate mountain terrain, Ski-Doo’s Freeride delivers the strength of the RS chassis, the track configurations of the summit and the suspension of the MXZ-XRS. If you want to see this mean machine in action check out Dan Treadway’s Ski-Doo Mountain blog or Follow Cam by Hickshow Productions. Yamaha has been known in the past for extremely reliable and durable engines, nothing has changed except for the addition of the TURBO! The big boys in the mountain scene today are boosting Yamaha sleds to over 300+ horsepower while climbing the steepest shoots ever discovered (Watch Thunderstruck to see for yourself). The Yamaha Nytro M-TX and Phazer M-TX deliver smooth and reliable Genisis power in a capable chassis. Making the lightest four stroke mountain snowmobiles on the market today, Yamaha machines have a go all winter attitude, they inspire confidence in man and machine and deliver a smooth and consistent power delivery that will drive you through new untouched terrain over and over.